What is commonly known as the Aztek calendar has a name of its own!!! 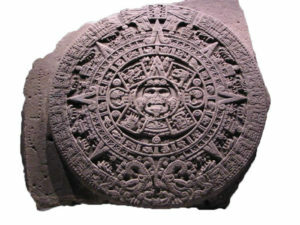 The Pattern of the Sun is now occupying center stage at the National Museum of Archaeology and History in Chalpultepek Park in Mexico City. The artifact was uncovered on December 17, 1790, sculpted in the year 13 AKATL, Reed, 1479 and containing millennia of accumulated astronomical knowledge and wisdom. Spanning the continent, stands the most enigmatic art/monument/icon in the world, the TONALMACHIOTL, universally known as the Aztek Calendar. The next logical step of the Maya Calendar; proven by modern scientific means to be the most precise calendar system invented by humankind. Here we present only a brief introduction to the “Manner of Working” (as it was called by the oldest of our teachers) that we have been using to delve and understand the heart and mind of these extraordinary human beings who had reached their cosmic identity. The written history of our ancestors and of their great territories, with little or a lot of their blood within us, has always had a pull or push on us, every one of us. Yet, mostly leaving everyone unable to answer: Who really were the Aztecs or where they came, the Olmek and Toltek were the same? 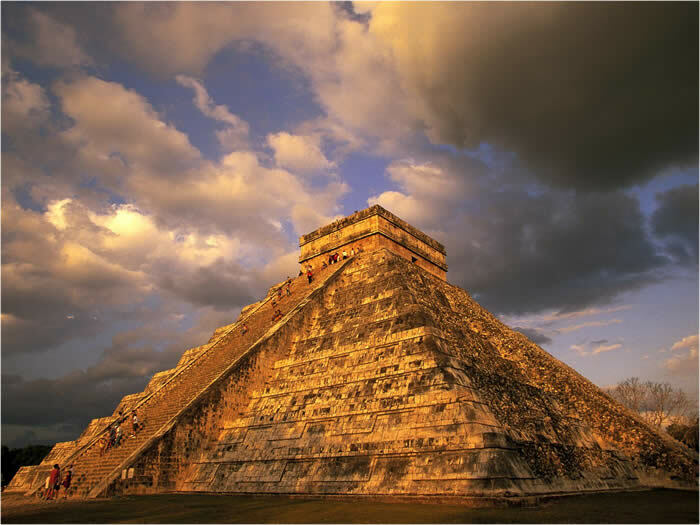 The Maya came after who… and then Maya and Chichimeka Olmeka Tolteka, Azteka, Mixteka and Zatopek? A multitude of evidence shows traces of them and a variety of influences of our ancient people that inhabited this huge Western Hemisphere indicate that there were many exchanges and encounters between all indigenous peoples to come to the conclusion that time is the common factor. So in with time and a common bond they dedicated themselves to learn and respect one another to survive. Now, let us present just a glimmer of the influence of our precious ancestors that we have access to. In hope that you make it yours because, in short, it is not an Aztek thing, nor a Mexican thing or Indian thing, it is the ANCIENT MEXIKA CHRONOLOGICAL SYSTEM: A Human Experience Towards Personal Transcendence, with Global Consequences. That is our task. Our most ancient ancestors became OLMEKATL, Ol(lin) = movement; Mekatl = rope, when they began measuring and recording the changes in nature and tying the movement of time in the cosmos. They were followed by our ancestors TOLTEKATL, the master craftsmen that designed, built and created according to the measurement of their grandfathers. TOLTEK became synonymous for one who will not settle for second best, one who will give his/her best and all to whatever endeavor they are involved with to work to their peak of capacity. Our ancestors from the MAYAB set the perimeter for us and were entrusted with leading us to the beginning of time and the end of the present cycle and was manifested by various projected astronomical Phenomenain 2012, especially regarding the Return of Ketzalkoatl. Finally after centuries, the responsibility was passed onto our ancestors who reached the stage of AZTEKATL, Az= harmonious instruments, Tekatl= person of. 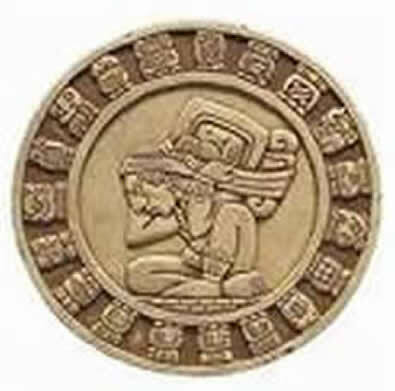 Our ancestors created that monumental talking stone, the TONALMACHIOTL that encompasses the secrets of the universe that allowed them to model their life in a perfect harmonious relationship of the rhythm of the human being in its mother’s womb with those of nature and the earth at the Rhythm of the Cosmos. Specifically, the TONALMACHIOTL measures the human gestation period of 9 months, 260-273 days, called the TONALPOUALLI/TZOLKIN in correlation with the period of the earth’s translation around the Sun in a 365.25 day solar year. This period was recorded in 13 day cycles and when the child was born he or she was given the name and number of that particular 24 hour piece of time. The ancestors could identify the potential, qualities and capabilities that existed in that space of time, and this was the basis of his/her responsibility to everybody and everything that surrounded them. Mother and father were responsible for insuring their child grew up recognizing and knowing its potential and capacities and thus its responsibilities by maintaining the rhythm in which it was born. This is not to be confused with a horoscope or superstition as it was not meant to measure luck, future nor destiny and it was not an obligation but a responsibility. Mother and father were given a cosmic profile that would aid and guide them in the raising of their child to be a positive contribution to the community. The readings continues to this day! 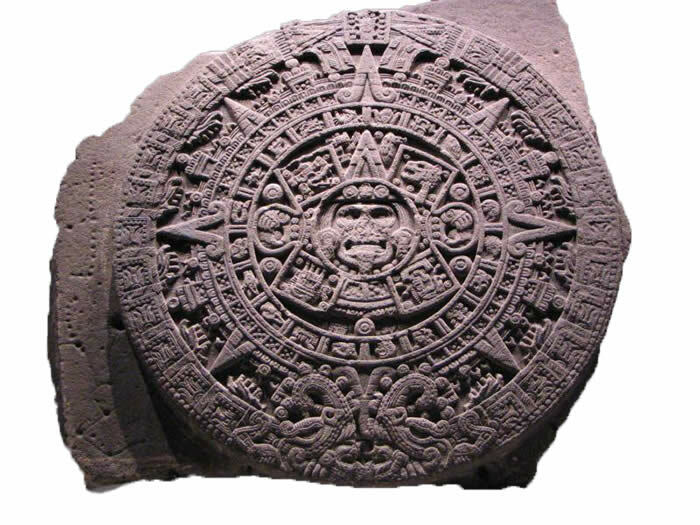 Please be mindful that this is not an Aztek thing, nor a Mexican thing, and neither is it an Indian thing but rather, this is the ANCIENT MEXIKA CHRONOLOGICAL SYSTEM: “A Human Experience towards Personal Transcendence”. It is Mexika because it was finalized and disseminated from modern day Mexico City, once referred as Mexiko Tenochtitlan, the headquarters of the Confederation of the Eagle and The Condor. This is the culmination of a collective continental experiment that crossed thousands of miles and peoples over thousands of years resulting in a Cosmic Identity and Responsibility to everything and everybody that surrounds one. Neither is this based on the color of your skin, eyes, nor your hair, but rather on that moment you took your first breath of life…this calendar is for and about you. Now you can learn how to read and use the calendar on a daily basis. Even find the name of the year and the day, you took your first breath of life on the TONALAMATL, and be prepared for a Re-introduction to your Cosmic Identity and Responsibility.